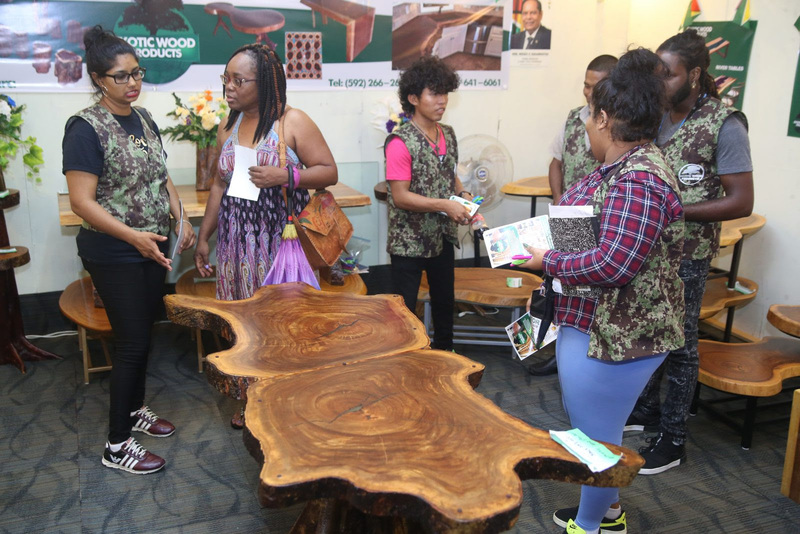 Attendees of the Timber Expo 2018 were impressed by Guyana’s wood products while exhibitors lauded the success of the exhibition and called for it to be a fixed feature on the Guyana Forestry Commission’s (GFC) calendar. 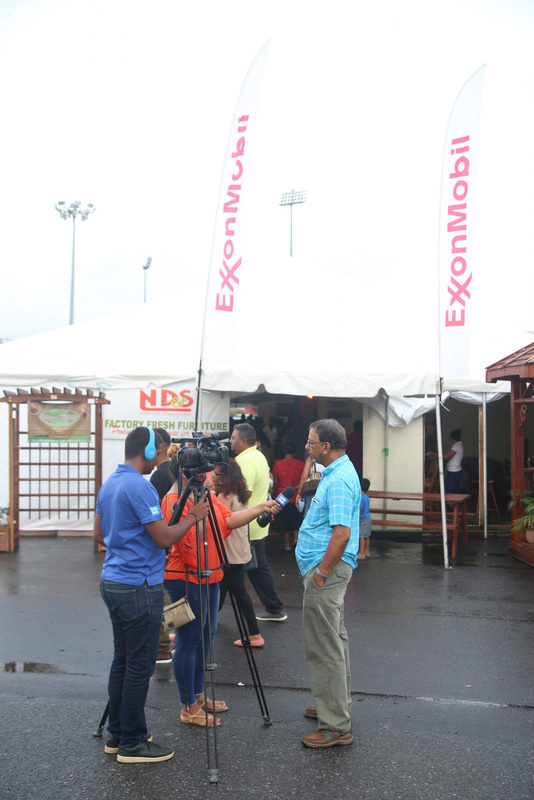 Chairman of GFC’s board, Joslyn Dow, said the three-day expo went “extremely well” and surprised many Guyanese. “We have made sure that the discussion here is not only about logging and timber but about the whole forest and its services,” she said. 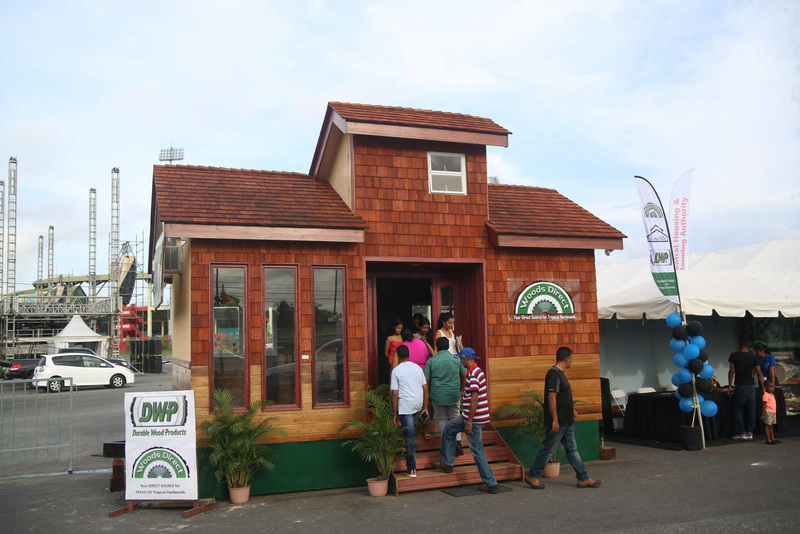 The Timber Expo began on May 18 and concluded tonight at the National Stadium Tarmac, Providence, East Bank Demerara. The public-private venture aims to expand the market for Guyanese timber products through public education, awareness and sensitisation to promote a ‘Greener Guyana’. Many persons attending the event said they were very impressed by the display of products coming out of the forestry sector. “I’m surprised a lot,” Teon Ashby said of the exhibitions. “The exhibition that Wood Direct had displayed was mind-blowing in the fact of the log cabin that they made out of the various kinds of wood,” Clennell Petty raved. One prospective homeowner, Shaquimha Hanley, said the information was very helpful since she would like a wooden house. “An expo like this is very good. It’s able to show persons what can be done with wood as opposed to maybe furniture alone. I like the fact it’s very versatile,” she added. CEO of Guyana Office for Investment (GO-INVEST), Owen Verwey, said he is satisfied by both the attendance by Guyanese and the participation by the exhibitors. GO-INVEST partnered with the GFC to host the expo. 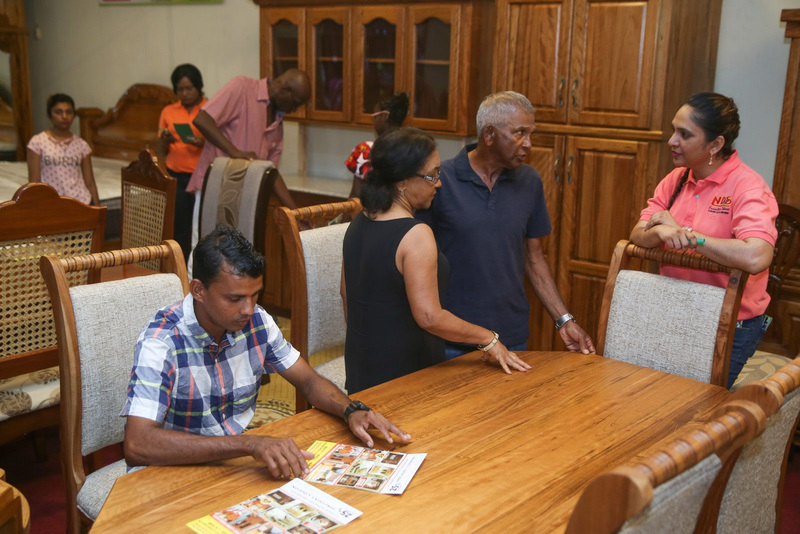 Meanwhile, Natasha Mahdeo, Sales and Marketing Manager of NDS Furniture, said this was one of the better expos the company has participated in. “Coming here and seeing the wonderful job that they [GFC] have done for us to be able to come out here and promote is wonderful,” Mahdeo noted. Mahadeo added that the expo provided a one-stop opportunity to exhibit locally produced timber products. Nizam Ameerally, Managing Director of Eco-Woods said the expo has provided exposure to the downstream production within the forestry sector. “We say that value added is not just planning boards, its making furniture, woodcraft and all of that because we use more of the wood when we do that. We have to continue to have the government continue cooperation like this in setting a premise for the downstream to prosper and it will take off in my opinion,” Ameerally said. Craft producer, Irene Bacchus-Holder, said the Timber Expo was a “fantastic effort” that should be continued. “There is so many more that you can do with wood species. In Guyana, we take wood for granted. This is a fantastic effort that should be continued,” she said. The Timber Expo was also used to launch new businesses. Exotic Wood Products was debuted at the expo. 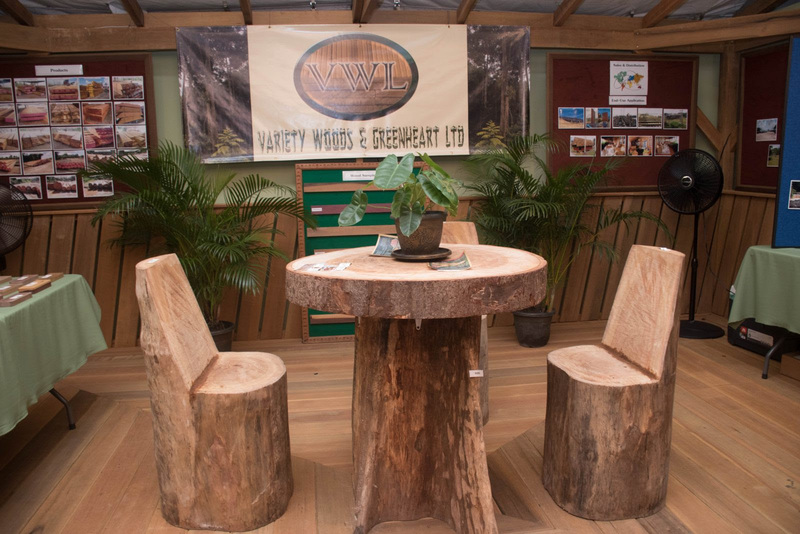 The company converts log waste into furniture. “When we put a piece of furniture in the house of anybody we guarantee that it’s the only piece like it in the world, that’s the uniqueness about it,” Managing Director Rohan Pillay said. 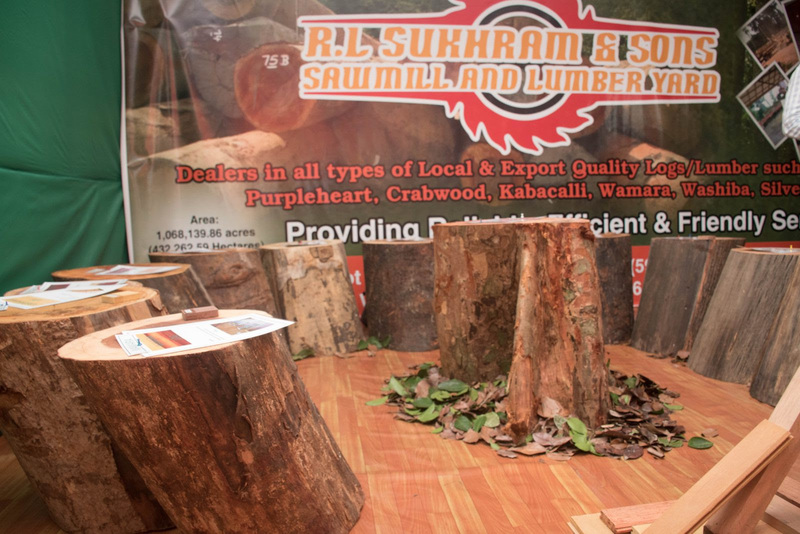 Some 30 exhibitors from sawmillers, lumber yard dealers, value-added producers, exporters and government agencies participated in the exposition.